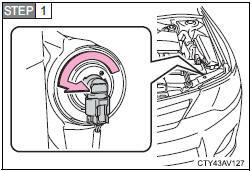 Turn the steering wheel in the opposite direction of the fog light that you wish to replace. 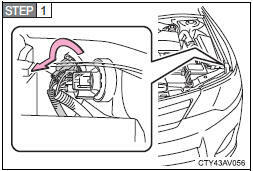 For example, if you wish to replace the fog light on the left side, turn the steering wheel to the right. 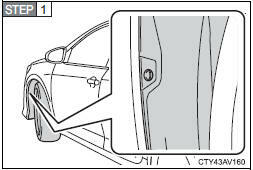 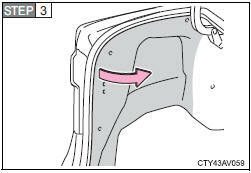 Remove the fender liner clip. 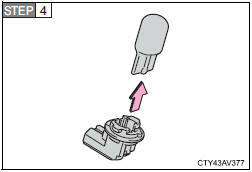 After turning the clip, pull the clip until it stops. 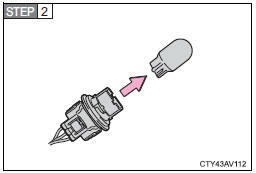 Turn the clip again, and then pull out the clip. 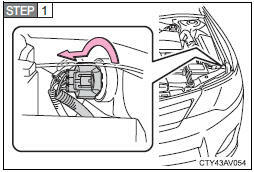 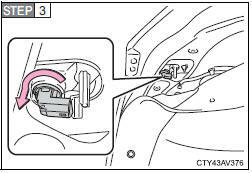 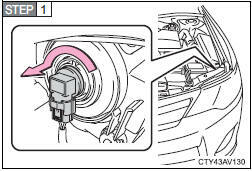 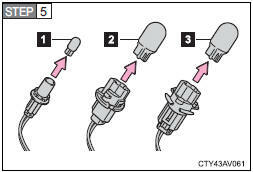 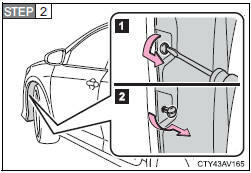 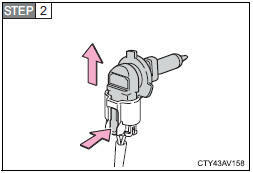 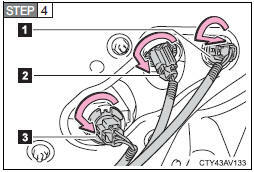 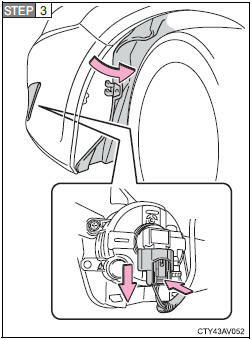 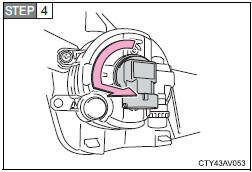 Partly remove the fender liner and unplug the connector while depressing the lock release. 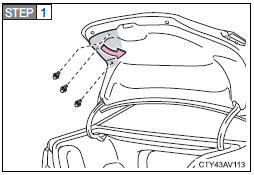 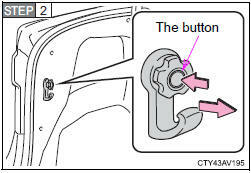 Open the trunk lid and remove the luggage trim cover clips. 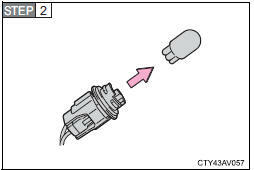 Pull the hook while depressing the button. 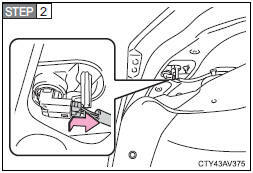 Partly remove the luggage trim cover. 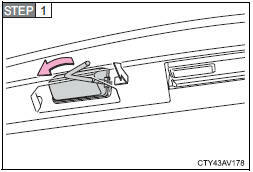 Open the trunk lid and remove the clips. 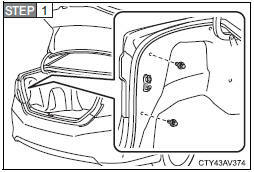 Then partly remove the trunk panel cover. 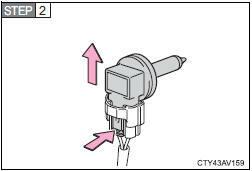 Insert a properly sized Allen key into the hole of the lens, and pry off the lens as shown in the illustration. 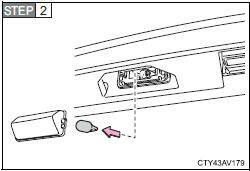 To prevent damaging the vehicle, wrap the tip of the Allen key with a tape.